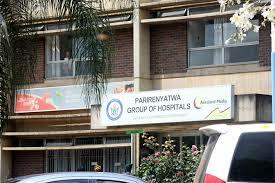 NEGLIGENCE by doctors at Parirenyatwa Group of Hospitals which resulted in a patient suffering a bile leak has proved costly after the High Court ordered the public institution to pay damages amounting to $27 890 in expenses plus R252 546. The hospital was jointly sued with the Ministry of Health and Child Welfare, surgeon Dr Edwin Muguti and the Medical and Dental Practitioners Council of Zimbabwe. Mrs Patricia Singizi will now be compensated for pain and suffering as well as expenses incurred when she was transferred to South Africa for specialist treatment. The woman, who was diagnosed with chronic cholecystitis due to gall bladder stones, underwent surgery called laparoscopic cholescystectomy at the hospital in 2015. After the surgery, the woman was discharged, only to be readmitted a week later due to abdominal swelling. Upon readmission, the doctors discovered that she had a bile leak, a condition that could only be managed in South Africa. She was them referred to South Africa where she incurred medical costs to the tune of R206 146,50 plus R18 900 for accommodation among others. Mrs Singizi and her husband Mr Samuel Singizi then sued the hospital for damages and medical expenses. High Court judge Justice Phildah Muzofa last week ruled in favour of the couple and ordered the public hospital to pay damages amounting to US$27 890. The judge further ordered the hospital to pay R252 546,50 for medical expenses incurred in South Africa and other expenses related to the trip. During the proceedings the hospital accepted liability, but the parties addressed the court on the quantum.